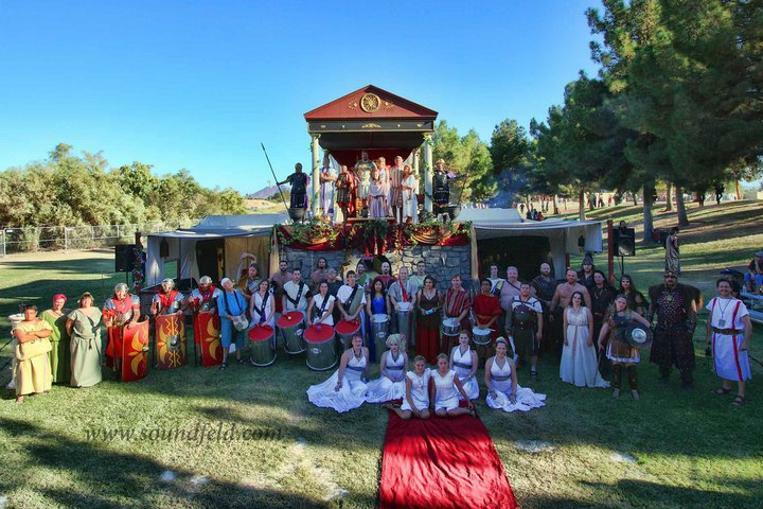 LEGIO II TRAIANA FORTIS Cohort I is a Las Vegas Nevada based group of Roman Reenactors, Nevada's oldest Roman Reenactment group. Founded in 2002 and solely dedicated to historicaly accurate Roman Reenactment. We are avalible for Ren Fair, Outdoor & Classroom demonstrations as well as TV & Film productions. Excuse our dust but Legio II Traiana Fortis Cohort I is growing. Click here for Cohort I Website (Under Construction) and here for message board. Click here for the Legio II Cohort I FaceBook web page. LEGIO II TRAIANA FORTIS Cohort II has changed to Legio II Adiutrix Cohort II. All II Traiana Fortis Cohorts/Groups are independent organizations with their own Websites and Policies. If you are a Roman History buff or Reenactor stay up to date with the latest Roman discovery's & Events from around the world as well as all of the activities of the II Traiana Cohorts/Groups from around the World, click here for message board. To add a link or to start your own II Traiana Cohort/Group.